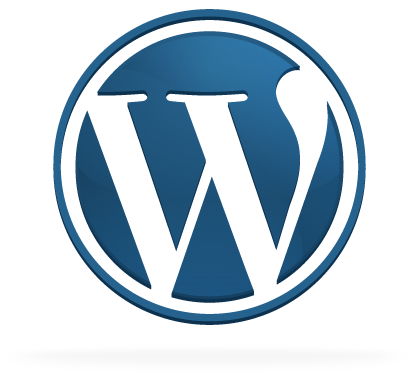 WordPress is probably the best blogging software in the world. There are thousands of reasons for people choosing WordPress as their favorite blogging platform. Some of them are its customization options with themes, plugins, and its search engine friendliness. I think you know about WordPress.com allowing free/ad supported hosting of our domain. However, there we cannot use our own advertisements, install custom themes, plugins, etc. So if you want to take the full control of what appear in your blog, then purchasing your own online web space is recommended. There are commercial web hosting services that charge from 2$ per month for unlimited WordPress hosting. Another option is to start with a free web hosting service and later move on to dedicated hosting. Here in this article we discuss few popular free WordPress webhosting services that allow WordPress and php hosting. WordPress blogging software requires a PHP enabled web server. The free services listed below comes with the basic requirements to host a WordPress blog. Some of them have cPanel installed and others not. It’s very easy to install WordPress on Cpanel supported web hosts with Fantastico. Others should follow the manual WordPress installation process. Free PHP web hosting from 000WebHost ( Update: Beware ): Best and most popular among free WordPress and PHP web hosting services. They offer completely ad free custom domain hosting services. It installs WordPress, b2evolution, Support Logic Helpdesk, phpBB2, SMF, OS Commerce, ViPER Guestbook, Coppermine Photo Gallery, PhpWiki, PHPauction, WebCalendar on one click ( auto installer is currently under maintenance ). Update: I have been watching this for a while. Their auto-installer is always under maintenance, and I believe that it’s a trick to fool new users. You will need to upgrade to a better plan to get Fantastico and other control panel options. However, you can install WordPress using the manual installation methods. 1.5 GB hosting space and 100GB data transfer. 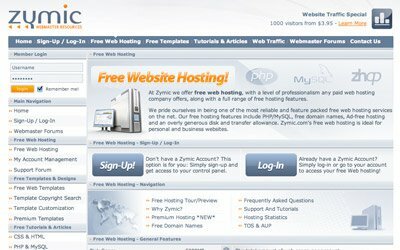 Free PHP web hosting from ZYMIC: Zymic is another free PHP hosting services that allow WordPress installation. They provide 5 GB hosting space and up-to 50GB data transfer . PHP (latest version ) , MySQL database and PHPmyadmin support . Fantastico auto installer for WordPress and other scripts is not available. In each case you need a domain name, and the Name Servers of the domain pointed to 000webhost or Zymic web servers. It is not recommended to host a professional WordPress blog on free web hosting services. The resources are being shared between thousands of free hosting accounts. Therefore, it would make the website slow and lead to unavailability at several times. Sometimes the providers will cancel the hosting account that consumes large system resources. Update: 000webhost is the real scam web hosting company. They delete websites without any warning. Their affiliate program is the best example of scam on the internet. I have been a part of their affiliate network and referred many users to their site. They but canceled my account after requesting for a payout. Search ” 000webhost scam” in Google for more details. So I advise you to host your website in any of the reliable webhosting providers like Dreamhost and Hostgator. They offer promo codes and discount coupons for the first time customers so that you can start with WordPress hosting at small investment. Reliable web hosting is recommended if your website and files are anything important to you. Alternatively, register a domain and use with the free custom domain feature Google Blogger. It provides you free hosting for your WordPress. can u provide some more hosting sites. plzz…. Thanks for the tips and the warning about 000webhost scam. At the end of your article about free WordPress hosting services you did a 180 and recommended Google blogger. I’m wondering, is your conclusion that there are no free WP hosting services you recommend? 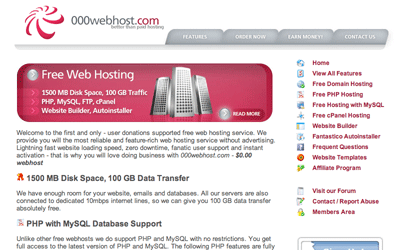 is the 000WebHost really a scam. i’m looking for a free webhosting for wordpress but in vain, can anybody help me please? I’ve used 000webhost free hosting without any problems.they did turn off any inactive sites. but as long as you have regular visitors every month then you shd not have any problem. 000webhost is a scam. you can go for zymic or xtremehost for free! Use x10hosting.com, 10xhosting gives you 2.5 gb disk space free and unlimited bandwidth, c panel with almost no limitation. Thnaks for such great posts. I would like to provide free hosting services. Is there any script available. But found problem in process waiting activate email. I looking for best hosting. hellooo tahnx for share hosting webs…i think zymic is better than others me use zymic last 2 years. it give me problem at once time only…! Actually you can get 1 year free domain with co.cc, earn some money within this year and get yourself some top domain name. i tried zymic but its so slow. 000webhost is indeed a scam,im a victim also. Zymic is really good on hosting WordPress and us it on a lot of different sites now fopen() is disable so is zlib but there support team and forums help a lot even there tutorials to help out. zymic is really good service, hey guys!! you wanna 5BG free hosting go there!! If anyone is using x10 hosting or 000webhost, could you please use the contact form on my website to get in touch with me? Thanks! AFMU.com has been providing free hosting for nearly eight years, and fully supports wordpress. Their domain fees are higher than average but you still come out pretty cheap for a year of hosting. Best value for the dollar bar none.